Newcastle will face bitter rivals Sunderland in the Tyne/Wear derby without their best player Yohan Cabaye who was pinched by Paris St-Germain late in the January transfer window and their failure to replace him is likely to have a very negative impact. You have to feel for Alan Pardew, as once Cabaye’s transfer to PSG was completed the Toon boss was left with barely 48 hours to find a replacement, with his club’s biggest Premier League game of the season fast approaching to boot. This clearly proved to be a task too steep and, even if they had managed to secure another midfielder such as Lyon’s Clement Grenier, it would have taken them some time to settle in, maybe even until next season. Replacing a man of Cabaye’s talents and influence over a team, especially with dead ball delivery of that quality, doesn’t come easily. If Cabaye had been available for their lunchtime derby against Sunderland, the host’s 1/1 favouritism to take the bragging rights and the points would have felt fully justified. However, without their talisman and creative fulcrum the 16/5 about Gus Poyet’s resurgent Sunderland looks the far more attractive bet. 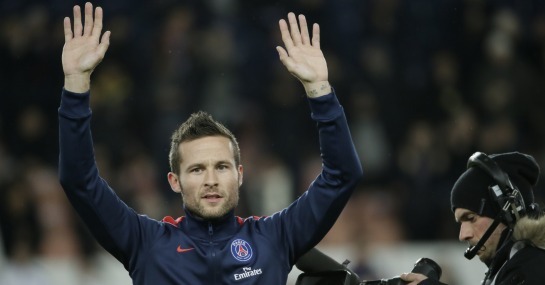 But it’s not just the outcome of their local needle match which Cabaye’s late-in-the-day sale to PSG will affect. The Magpies were enjoying a really strong season where their band of Frenchman had blended beautifully to allow them to challenge for the European places. Before Cabaye’s departure, Newcastle may well have challenged the likes of Everton all the way for a Europa League spot, but now they’re price in the market ‘Without the Big Six’ is a distance-looking 9/1. By not adding Yehven Koplyanka to their ranks on deadline day either, Liverpool may be the either notable casualty at the top, as they try and fend off the Champions for a top-four spot – rated at 4/7.